When we talk about product photography the most popular idea is a background that is all white. It provides a simple as well as striking clean perspective ensuring the complete focus on the product. Also known as Infinity Curve, it can be boring and dull sometimes. However, there are many creative ideas to make your product photographs stand out from other online competitors. All you’ve got to do is experiment different ways and think outside the box for a while. There are endless possibilities which can be combining with Product Retouching Services to create that unique looking product online. If you really want to experiment new ideas you might want to remove all clutter or unrelated items from your background. Product photography is all about nice and clean with an interesting background. Here are some of the backdrop ideas for product photography. Tiles are light, found in different types and readily available across the hardware stores. For a clean shot, use black granite which is also reflective and perfect for a product shoot. You can also use vinyl tiles as they’re lighter. It can be great for on-the-go photographers. Moreover, tiles such as white granite textured of wooden surfaced are readily available. Experiment by using one as a base and the other as your backdrop. Cardboard can really serve well for product photography and are worth only few bucks. Place your product on a petite wood palette and put the cardboard behind. You can use any color. While your product is focused, your background will soften and with a bit of lost focus will look like a wall. Try to select the colors which create a nice contrast between your product and the backdrop. Larger the desktop screen, better for photography. Select a background image as you wish and place the product in front of the screen. For the right level, stack the product on something like books or a shoebox. You can always model your own products and use it for marketing. However, if you feel uncomfortable get someone – a friend or siblings as a model. You can always have a great time having a company and who knows, more creative ideas may pop. These are usually cheap and are readily available in many different colors, patterns, textures, and themes. You can always store them easily and use them on as a backdrop for photographing your products. It may surprise you with the results. Creativity has no limits. Music sheets or newspapers can be limited to reading for some people but it can actually be a great idea to use them as a backdrop for product photography. Nice contrast can be achieved with the inked paper background. However, make sure that the product description doesn’t get distracted by the backdrop words. Try the products which are vibrantly colored but ignore paler shades such as cream or lemon yellow. Books Like with music sheets or newspapers, an open book will provide your product photos the same contrast. You can place the product with books opened, or set the product aligned to a thick, closed book. Results are best when you use products that are smaller. Book type comes with many types such as vintage, retro, or modern. Use it to your advantage and experiment what may fit best for your product. Using the right picture can create fascinating background if the colors and style bring your product into focus. Try not to use the colors that can create conflict with the color of the product itself. However, the background picture can really complement and enhance the tone of your product. 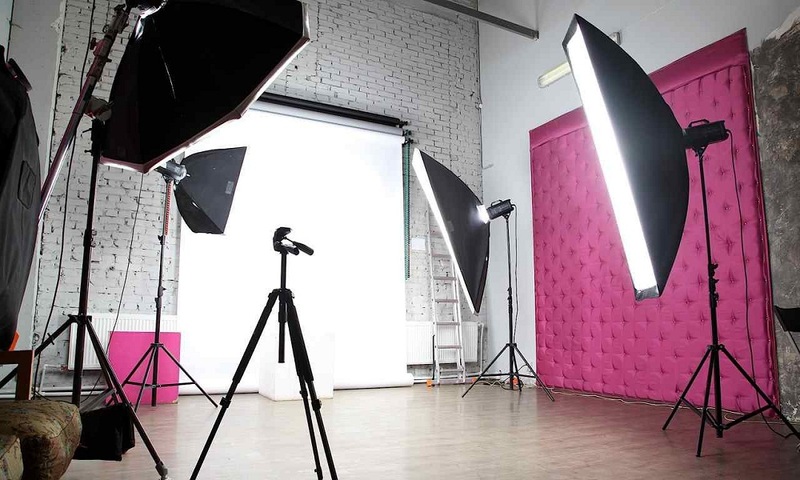 Read- How to choose a good studio backdrop for Product Photography? Their size is customizable and easier to set up with their magnetic properties. You can choose from 8 fun prints which include rocks, dirt, a brick wall, water, and grass. With your product focused, the background will look like dirt or a brick wall. Other creative ideas are open to experimentation. At the time, the ideas may come as silly and stupid but eventually, you are going to figure out just the right trademark backdrop for your product’s photography. Analyze other online stores for photography ideas. After you’re done, don’t forget to ask help from a Professional Photo Retouching service Provider. Brilliant post here. Thanks a lot for sharing. Great post, loved the presentation and references provided. Thank you very much.